Join us at Snoqualmie Pass! Photo by Loren Schmidt. You’re invited! The North Cascades Trail Skills College is a free weekend event for volunteers to learn about trail maintenance and stewardship. Beginners and experts alike can benefit from Trail Skills College courses like Tread Reconstruction and Cooking and Camping with the Crew. 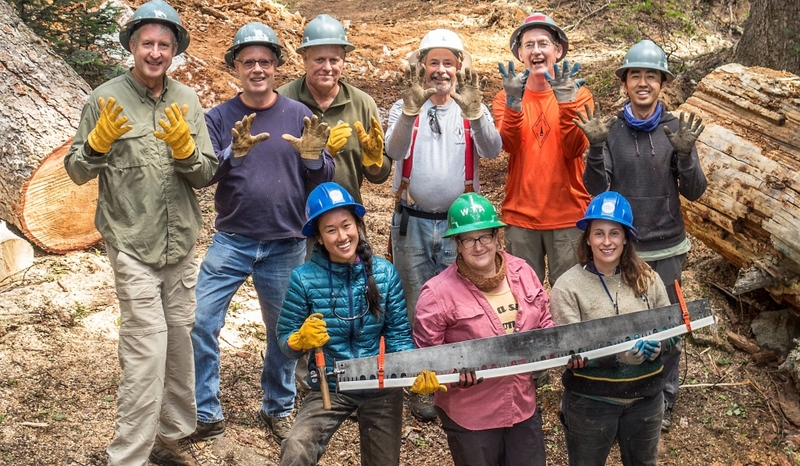 The 2019 North Cascades Trail Skills College is possible thanks to the U.S. Forest Service, Osprey and the PCTA’s North 350 Blades volunteers. The fitness level will vary depending on the classes you select during registration. However, all participants should be prepared to hike a minimum of 1-2 miles while carrying personal gear and tools. Participants should also be prepared for the hands-on learning opportunities in many of these classes, resulting in 6-8 hours of active trail maintenance per day. **For most participants, Friday will be an arrival day only. Not sure which classes to sign up for? Free bunkhouse, RV, and tent camping will be available. Free meals will be provided for participants, starting with breakfast on Saturday and ending with lunch on Sunday. Online registration will be available on this website May 1-31. A priority registration period will be available for select volunteers, April 23-30. You can learn new trail maintenance skills by volunteering on a PCTA trail crew any time. Most crews don’t require any previous trail maintenance experience. Knowledgeable and experienced crew leaders are on site to teach you the necessary skills. Visit the online project schedule and North 350 Blades Facebook to find trail projects near you. If you have questions about Trail Skills Colleges, contact the Volunteer Programs Coordinator at 916-285-1838 or [email protected].